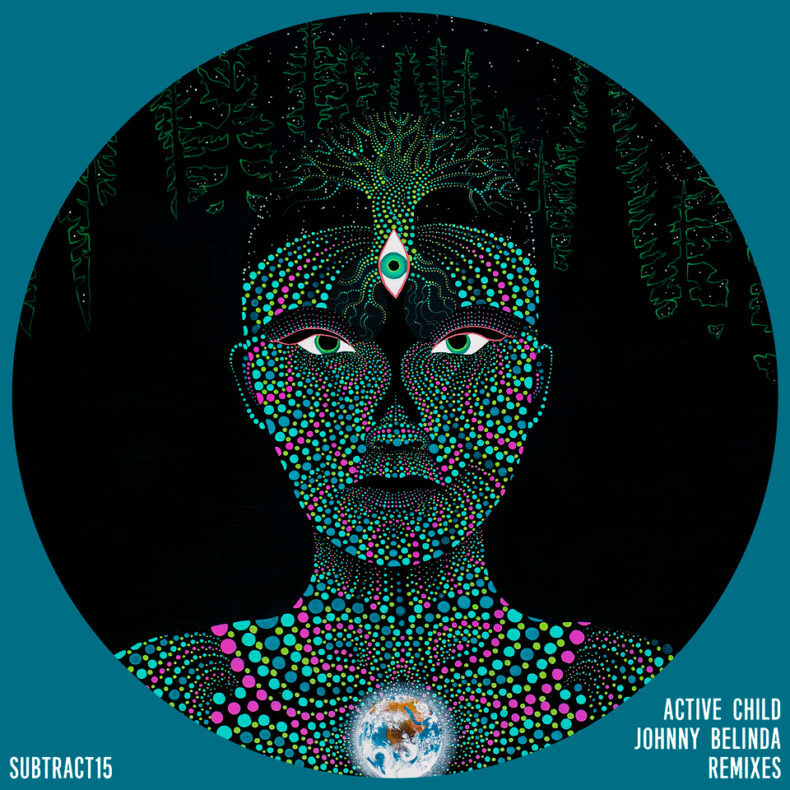 We’ve assembled an all-star crew of artists to remix an incredible original by Active Child. Everyone truly brought their A-game, and the results speak for themselves. Many timeless dance floor moments are sure to come from this release. MDK is a new project by someone responsible for some of the most iconic tracks in the past 10 years. The man behind it is none other than Matthew Dekay. Joining him is another legend, known for his emotional and unique approach, someone taking a no-compromise approach to production and sound quality, a man that needs no introduction – Stimming. As chance would have it, a couple more of our dear friends wanted to join this project, upon hearing about it, quickly turning it into a mini-album. Dave DK’s Pacific Ride is a melodic journey, while his stripped down Topanga Dub goes into darker territory. This one will be right at home in the desert or a warehouse, just the way we like it. Pablo Bolivar rounds things out with a serious four to the floor jam, alongside a nostalgic ambient version that serves as a perfect closer to this remix EP. Original artwork by Jeff Sullivan. &ME – The Stimming & Dave DK remixes are stunning! Andhim – Dave DK mixes are great! Atish – Seriously unfair to have so many remixes of a longtime favorite, from four incredible artists. How do you even choose? Audiofly – The original always the best! Be Svendsen – Incredible package, some serious productions in here, all honouring the original to the fullest. Full support. Dance Spirit – Holy F*K, that MDK Remix. WTF. I am getting someone to review this for Space Cadet. Insta-Chills f**king beautiful EP. OMG. I want to remix. hahaha 🙂 Dave DK’s topanga dub is tops too. same with Pablo’s celtic soul remix and his ambient vibes. Beautiful work. David Mayer – Stunning package! Many favs here. Big ups Subtract! Eagles & Butterflies – Niiiiiiiiice Vibes across the whole package here. Gabriel Ananda – Really nice collection of remixes, perfect! Guy J – This whole release is gold! Hernan Cattaneo – Really cool! Many great mixes. Thanks for sending. Hoj – So glad to see this out in the world! What a great bunch of remixers. Nice work Subtract. Jason Kendig (Honey Soundsystem) – Very nice and super vibed out. The Dave DK versions are the cuts I’m immediately into. All three of em 🙂 The ambient take is a nice touch too. Jimi Jules – Pacific Coast ride by Dave is wonderful. Jimpster – Strong package all round, but Stimming stealing the show for me. Thanks a lot. Jody Wisternoff – Beautiful stuff, quality selection of mixes 🙂 In da box! Jon Charnis – This has to be one of the best releases of the year. Every single song here is amazing. A who’s who of talent. Great job Anton putting this together! Joris Voorn – The MDK has been a fav for many years, still the best mix on the package. A real masterpiece of intelligent intimate emotional electronic dance music. KiKi – Damn… These are all pretty, pretty goood! Kollektiv Turmstrasse – Thanks for the promo! Johnny Belinda (Dave DK Topanga Dub) & Johnny Belinda (MDK Remix) = goose bumps! Kolsch – This package is so good! Lane 8 – This is phenonemal!! Lee Burridge – Great choice on the remixes. I’m really feeling most of them actually. So many good ones to choose from. Inspired choice my lovely friend. Lost Desert – Wow, amazing you can put this one out! I like Pablo’s Ambient, Stimming, and of course the classic one from Matthew. Luca Bacchetti – All the versions are so good! Another great release from Subtract! Dave and Pablo’s remixes are killers! Matthias Meyer – Playing Matthew’s Remix for some years already. It’s an absolute killer. The others are good too. Max Cooper – Smashing it here, Dave DK and Stimming remixes, what! Looks like Dave has been inspired by your place too with the Topanga remix!… He’s killing it these days eh, so many strong club tracks. Nick Warren – Stunning remixes, feeling Matt’s and Pablo’s! Nuno Dos Santos – Mathew Dekay remix is sooooo gooooooddd!!! Patrice Baumel – Extremely high quality package, a ton of good remixes on tap here. Wow! Progressive Astronaut – Wow Pablo remix is no short of a masterpiece! Ripperton – DK DK DKKK! Always! Ruede Hagelstein – Stimming remix is fly here 🙂 Liking Dave’s versions too. Thx. The Scumfrog – Loving these, great timing. Loving the MDK Remix! Tiefschwarz – What an amazing package of mixes!! Till Von Sein – Dave DK’s instrumental is the vibe! Love it. Tim Engelhardt – I didn’t expect the MDK mix to ever be released… All reworks are bliss, you can feel there’s been a lot of time and dedication put into every single remix! Thank you! Tim Green – Wicked, thanks for sending! Uner – Stimming’s remix is a masterpiece! !